Thanks to "Airport World" for featuring our Gerald R Ford International Airport park & pavilion project! 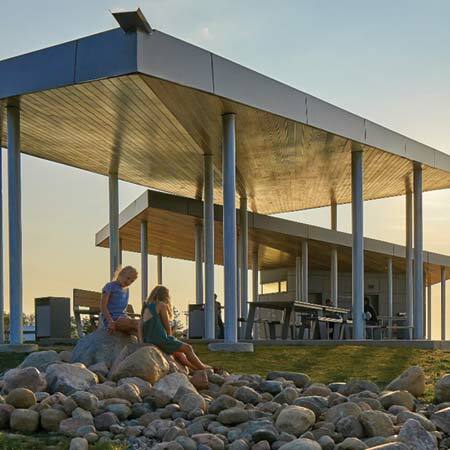 Gerald R Ford International Airport's renovated 'viewing park' where people can come and watch aircraft landing and taking off has quickly become one of the most popular attractions in the county. Indeed, the Mathison I Mathison Architects (MMA) designed park is already a magnet for aviation enthusiats, families and photographers either living in or visiting the Michigan city of Grand Rapids. Prior to the renovation, there was only a parking lot, picnic tables and a grassy strip. Airport Pavilion Featured in The Golf Explorer Magazine! MMA Earns the Cover of Grand Rapids Magazine!